Happy Thanksgiving week! With the season of giving upon us, I felt this was the perfect time to highlight some awesome charities I recently learned about. I am particularly fond of organizations that focus on the well-being and quality of life of people. I feel that it is so important that everyone has the opportunity to experience the basic joys and necessities of humanity, no matter where they are in the world or what they may be going through. This month Love Drop is helping Marci, a two time Breast Cancer Survivor who has just been diagnosed with cancer for a third time. Watch this video to learn more of her story. Click here to see Episode #2 of Marci’s story that describes more of who she is and the support system she has. This organization really inspires me because of their devotion to not only provide for people in need, but lift their spirits and bring joy and love to their lives in the midst of incredibly challenging situations. 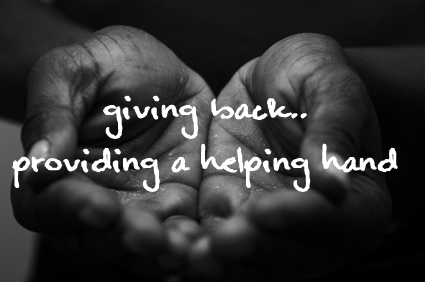 Check out their website to join the online community of giving. 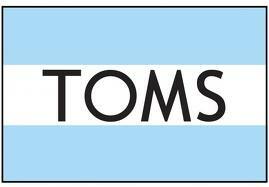 I’ve been aware of TOMS Shoes for several years now, but I recently learned about a new addition, TOMS Eyewear. With every pair of sunglasses you purchase, TOMS will help give sight to a person in need. I think this is so awesome. As you protect your own eyes and feel stylish in the process, you are gifting someone else with eyesight. Visit TOMS today to help those in need with the basics we often take for granted. It’s so easy to complain or worry about what you don’t have when caught up in everyday occurrences. But when you really take the time to pay attention to people without basic needs, or you witness the unfathomable struggles people constantly overcome, it is an immediate reminder of the blessings we are gifted everyday. Writing this post was as much an inspiration for me as I hope it is for you. Never take your life for granted. No matter how big your problems seem, there’s always someone else doing worse. Share your thoughts in the comments: What are your favorite charities and why? Alexis, those are great suggestions. I love the story behind TOMS too and I didn’t know about the addition of TOMS Eyewear. I watched the video on YouTube, so that I could tweet it and post it on my FB page. I also like the Heifer Project a lot. Great blog and, of course, I’ll be back! Alexis, thanks for this list which definitely gives more options to think about for doing some good social work and contributing to the society. Pranay Nigotiya recently posted..3 Simple steps to download & convert Youtube videos to Mp3. Your post reminds me, once again, how a simple gesture can reap such significant kindness for a person. Buy a pair of shoes, give to a shoeless child in need, donate one dollar, provide peace of mind to a family. I love MLK’s quote. With all that is happening in our country today, his words and what they convey should be paramount to our country’s cultural ethos, no matter where you are in the “class” spectrum. Thank you for reminding us what’s most important! Thank you Renee. I totally agree with you about MLK’s quote! It should definitely be forefront in everyone’s mind to make this world a better place. Thanks Alexis. I will certainly consider both Love Drop and TOMS on my holiday giving list. Thanks for sharing. Hi Alexis, thanks for sharing your post, the list of suggestions are so inspiring. Thanks for reminding us that “Giving” is an important part of the word Thanksgiving. Personally, I’ve focused my contributions recently on local food banks. It’s been hard to say “no” to other worthy causes, but I’ve always felt that if people don’t have enough to eat (for themselves and for their kids), then not much else is important. Let’s all remember to give with thanks this Thanksgiving. That’s very true Michael. Hunger definitely needs to be eliminated and I’m sure the organizations you are helping are very grateful. Thanks for sharing. Thanks for sharing these charities with us Alexis. This is definitely the time of year when people seem to be the most generous. My favorite charity has always been the Salvation Army. As I grew up, my maternal grandmother always shared stories with us of how without the Salvation Army, she and her sister would never have had a special meal or a gift under the Christmas tree. Her Dad had passed away when she was a young child and her mom raised the two of them alone. To this day, I can’t walk by the red kettle collection drums and we always make a donation in her name. Thanks for sharing LoveDrop and Toms. I’m looking for a place to do my Christmas shopping for the people in my life who already have everything. I have purchased from OxFam recently and am always looking for a way to make a difference when I give a present. I particularly like the idea of giving a person back their eyesight for less than what you would spend on coffee for a week. We don’t know the value of something until we lose it. We take things for granted because we have access to them everyday. Helping these people would make us know what life is all about, thus helping us appreciate it more. Very good list of suggestions, sharing and spreading just a tiny portion of love makes such a huge difference ! Amalia Hughes recently posted..JCP Printable Coupons – Save more money ! Yes it does. Thanks Amalia!